Just as dental care needs change as children grow, so do the potential dental problems that can emerge. Understanding common childhood dental issues is a great way to help your child pursue the best oral health possible. Also called nursing bottle syndrome, childhood tooth decay happens when the baby’s teeth are in frequent contact with sugars from milk or other drinks. When infants fall asleep with unswallowed milk in their mouth, they have a greater risk of tooth decay. 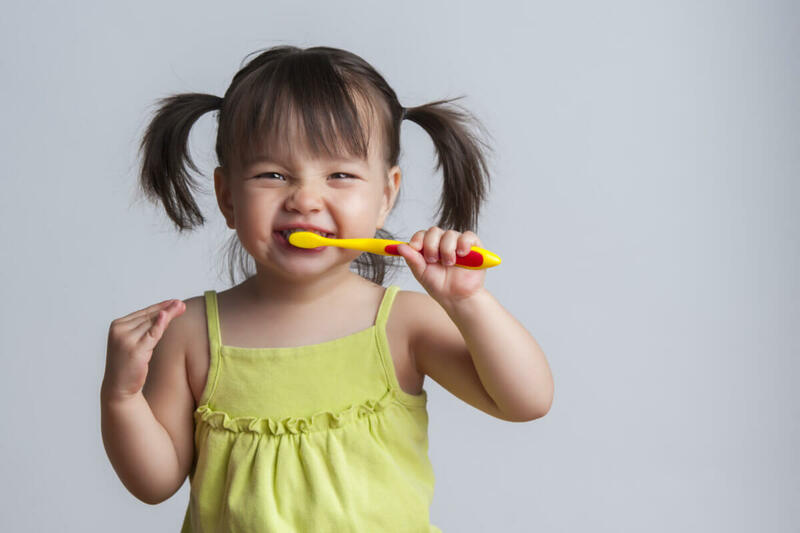 There are several things you can do to guard against toddler tooth decay. First, choose plain water or a pacifier to comfort and calm your baby during the day, rather than a bottle of milk or juice. Also, be sure to avoid putting your baby to bed with the bottle. This can expose the baby’s teeth to sugars for many hours. Last, ask the dentist about your child’s fluoride needs. Fluoride treatment is very effective in stopping cavities from growing. Babies who are breastfed or bottle-fed will have a natural tongue thrust, but as they get older, they should develop new patterns of swallowing and speaking. When the tongue thrust lasts past the infant stage and into early childhood, it can cause speech disorders and orthodontic problems. You can tell that your toddler has this problem if it looks like the tongue has too much forward movement during swallowing and speaking. Sometimes, the tongue pushes into the back of the teeth. A pediatric dentist can implement different treatments to address the problem, such as a “tongue crib” device to correct an open bite, and/or orofacial myology. This therapy corrects placement of the tongue, jaw, and lips, and improves swallowing habits. Thumbsucking is a natural reflex that helps babies feel secure and learn about the world. But once the permanent teeth come in, this habit can alter the structure of the teeth and create alignment problems. Sometimes, aggressive thumbsucking can even affect the baby teeth. If you are concerned about this or notice changes in your toddler’s primary teeth, please consult with a pediatric dentist at Kangaroo Smiles. Canker sores often appear in children when they are sick or when the seasons change. They can even be caused by food allergies. Unfortunately, there is no quick fix for these sores but they will heal on their own in about two weeks. To avoid irritating the sores, Dr. Mona recommends a bland diet and staying away from spicy and crunchy foods. Be sure to keep your child hydrated and do not use over-the-counter topical creams, as they will only further irritate the sore. You may be surprised to learn that teeth grinding is normal for many toddlers. Usually, this habit ends when the permanent teeth begin coming in. In cases where the grinding gets worse or the permanent teeth are being worn down, treatment may be needed. Grinding can cause chronic headaches and weaken tooth enamel in both children and adults with this problem. The dentist may recommend a night mouthguard to protect the teeth from the harmful effects of grinding. Whether you need toddler tooth decay treatment or therapy for tongue thrusting, Kangaroo Smiles has you covered! 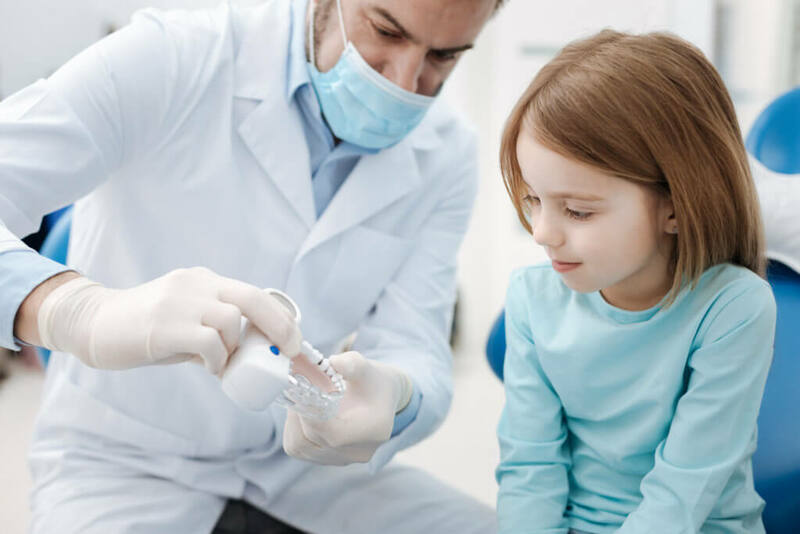 Our caring pediatric dentists are knowledgeable and skilled at providing these treatments for children. With a child-friendly office environment and comprehensive care, we are a trusted provider for many local families! To make your appointment with us, please call 978-425-1496!